Students, media enthusiasts and experts gather as Gospel, Art, Media and Technology intersect. 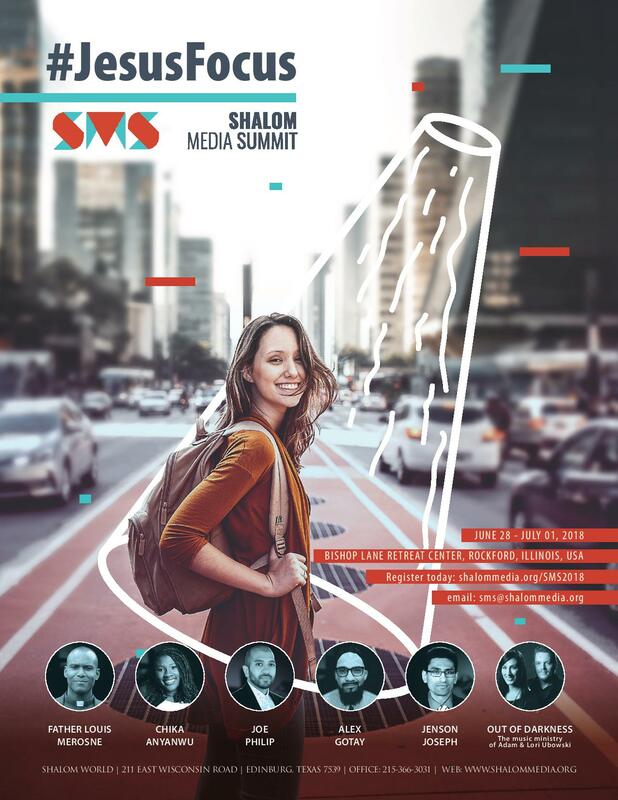 "Shalom Media Summit is open to youth of ages 16-29 years." Father Louis Merosne is a wannabe saintly priest and is at loss of words talking about priesthood. Father Louis was born in Haiti and moved to Boston in 1993. 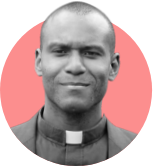 He studied French, Philosophy, and theology at Franciscan University and was ordained in 2011 and currently serves in Haiti in the Diocese of Anse-à-Veau and Miragoâne. He is also the director of the St. Pope John Paul II Center for the New Evangelization where he lives, and ministers in a missionary community made up of families, lay young adults, priests, and a religious sister. Preaching the good news of Jesus Christ, he says, is his duty and passion. 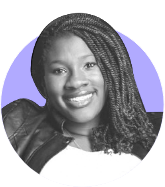 Chika Anyanwu is a catholic speaker from Ontario, California who loves sharing the Gospel through her life. She is a two-time alumna of the National Evangelization Teams Ministries (NET Ministries) and is an area contact for Life Teen in the Diocese of San Bernardino, CA. She has aligned her dream with the Lord’s commission to make disciples of all the nations and is actively pursuing the same by delivering talks on how to live a catholic life in today’s secular world. Chika is part of a big Nigerian family, loves praying the Rosary, enjoys the Turkish coffee, and striking out at the batting cages. Chika's journey to Christ is featured on Shalom World TV's "U-TURN". Alex Gotay is an ardent follower of Christ, a husband of 17 years and a father of three boys. Professionally, he is a national teen and young adult speaker, a retreat leader, evangelizer and a missionary. Alex also features in Shalom World's weekly series "Dare to Hope." 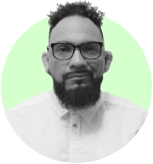 He is also a Brazilian Jiu-Jitsu blackbelt and works full-time as a Pastoral Associate. He recently completed his Doctorate in Ministry, and holds several degrees in the field of counselling and theology. With more than 16 years of youth ministry experience, he is also the official Catechist for the Archdiocese of Galveston-Houston. 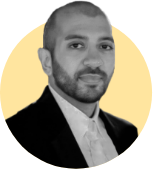 Jenson Joseph is the Director of Community Relations at Shalom Media and a speaker at Shalom events around the world. Jenson is a former member of the Chicago Catholic Charismatic Renewal Center for the Chicago Youth Service Team, and actively worked in Youth Ministry. Jenson is featured in Shalom World's 9PM series, The Living Word. The music ministry of Adam & Lori Ubowski. 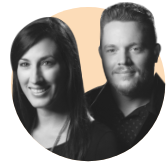 Adam & Lori Ubowski have served as parish Directors of Music Ministry in the Diocese of Pensacola-Tallahassee, Florida for many years. While balancing their roles as parish music ministers, itinerant ministers, and parents of a young family, they have developed a unique pastoral ability to foster the love of music and worship in others. They hope to bless people of all ages, in all walks of life with the music and message God has inspired them to share. Which dates should I mark on my calendar for SMS 2018? Thursday, June 28, 2018, 3:00 PM — Sunday, July 1, 2018, 3:00 PM. In what language will the program be held? What is the target age and maximum number of registrations for SMS 2018? What happens at Shalom Media Summit and after? will help youths learn how to harness and use their talents for Jesus, through various media. This is my first spiritual program, Can I attend? your natural desire will be to share Him with others. Today, the media allows us countless ways to be modern evangelists, helping to spread peace and joy to a suffering world. I belong to another ministry/diocese/ school and not involved with Shalom ministries. May I still attend SMS 2018? Yes. Howsoever participants choose to serve the Lord, Shalom hopes to equip them to better use the media. If participants wish to discern whether or not they are called to work with Shalom Media, Shalom offers a platform through which they can utilize their skills and experience the life and work of a New Media Evangelist. The SMS 2018 registration fee is USD290, covering lodging, food and the program. You may pay using any major credit/ debit card. Payments must be received for registration to be confirmed. forms must be completed and submitted for the process to be complete. What forms must I submit to register for SMS 2018? Forms for minors (less than 18 yrs of age) must be completed and signed by a parent or guardian. Forms for adults (18+), are completed by the participant. For international participants -- how do I apply for my visa and what travel documents are needed? Once you register, an invitation letter will be emailed to you to help you apply for your visa. Please read the Shalom Media Summit code of conduct prior to traveling. Registration closes when the seats are filled or on May 28, 2018. Please note: Maximum number of seats is 130. Your seat is confirmed when your registration fee is received in full and all forms are submitted. You will be notified by Shalom via e-mail when these requirements have been met. You can cancel your registration on or before May 28, 2018 and receive a full refund by calling 215-366- 3031 or e-mailing [email protected] No refunds will be issued after Monday, May 28, 2018, and no exceptions will be made to this final deadline date. Registrations cannot be transferred. They must be cancelled as per our cancellation guidelines above. Would there be an SMS coordinator from my country? Yes, each country (UK, Ireland, Canada, Australia and USA) will have an adult coordinator to guide the team. We will notify you of your coordinator via email. If you have any questions about how to proceed after registering, please send us an email to: [email protected] and we shall connect you with the coordinator from your country. Would there be an adult accompanying/representing my country? Yes, each country (UK, Ireland, Canada, Australia ) will have an adult coordinator to guide the team and accom-pany it to the US. We encourage you to travel as a team, to help ease any challenges of travel, connect you with other like-minded youth, and to help enhance the whole experience. Participants stay at the program venue in shared accommodation. How many meals will be served at the event? Who will be leading Shalom Media Summit? Can I get a schedule for the program? Schedules for SMS 2018 will only be provided at the program venue. Do I need to attend all the scheduled seminars for the program? the prior one. You are encouraged to attend and fully participate in each seminar. Can I attend the program as a commuter? To fully engage and participate in all aspects of SMS 2018, registrants must stay at the venue. Can I stay extra nights before or after the program? Shalom Media cannot arrange for extra nights before or after the program. However, participants may contact the retreat center directly and request extra nights. Which airport is closest to the program venue? Is transportation available from the airport to the venue? We will arrange for airport pickup and drop-off from O’HARE International Airport (ORD), Chicago. If you are arriving at a different airport other than ORD, you must arrange your own transport. Do I need to inform Shalom Media about my travel plans? Where do I report when I arrive at SMS 2018 venue? Please report to the reception area at the venue. Do I need to wear a name badge throughout the event? Yes, name badges will be provided and must be worn at all times during the event. What items should I bring for the event? In addition to necessary clothing, medicines, and toiletries, all participants must bring their own towels and bed linen. The retreat center will provide pillow and bed only. Participants are also encouraged to bring their Holy Bible and Rosary. A notebook and pen will be provided to you. Is medical service available during the event? 24-Hour First Aid Service is available at the venue throughout the program. Are any activities planned for participants who come before or after the event date? No sight-seeing or other activities are arranged by the SMS team before or after the conference. What should I do if I have more concerns or questions? Please email your concerns or questions to [email protected] or contact your local Shalom Media Summit representative. Thank you and God bless you! We look forward to joining with you in seeking Christ, and learning to spread His presence as 21st-century media evangelists! From Thursday, June 28th to Sunday, July 1st, Shalom Media will host its first annual Shalom Media Summit (SMS) at the Bishop Lane Retreat Center in Rockford, Illinois. 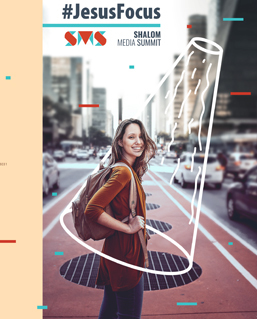 Shalom Media has been influential in Christian television and print for the past 27 years, and is now stepping into a new venture with the SMS, bringing together youth, young professionals, media evangelists, and teenagers from around the world. Through talks, sharing, breakout sessions, panel sharing, workshops, prayer, and music, participants will be encouraged to dream big for Christ. At the Shalom Media Summit, individuals will be inspired to serve with #JesusFocus. Featured speakers for SMS will be Father Louis Merosne, Director of the St. Pope John Paul II Center for the New Evangelization in California; Chika Anyanwu, a Catholic speaker who has worked extensively with youth through her tenure with NET Ministries and LifeTeen; Joe Philip, a theology teacher and retreat coordinator for Powers Catholic High School in Michigan, as well as Contributing Editor of Shalom Tidings Catholic magazine; and Alex Gotay, a national teen and young adult speaker, retreat leader, evangelizer, and missionary who has more than sixteen years of youth ministry experience, currently serving as the official Catechist for the Archdiocese of Galveston-Houston, Texas. 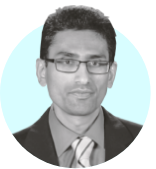 Shalom Media Executive Director, Santo Thomas, says, “Media has become an ever pervasive force in society, culture, business, and amongst individuals. Information is disseminated at an alarming rate; 24/7 news channels are the standard; social media can build or destroy lives in a few words or with one video; and cultural norms have been thrown aside to make room for “the new normal.” Everyone is affected by the influence of media and no group more so than today’s youth. Social media “influencers” are on the rise, branding themselves, setting trends and changing the mindset of youth who are led to think education is not needed, beauty is power, luxury is a right, and humanity has no value. 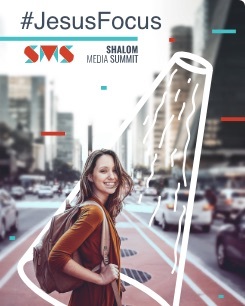 This is no time to retreat; rather, Shalom Media encourages young people today to harness media for the Lord.” The Shalom Media Summit is an answer to the prayers of parents who have witnessed their children become engulfed by secular media. SMS has been prayerfully designed to guide participants to explore media in the light of Christ and His Church in order to find their place within. Media has the power to change hearts and minds when used for good and with good intentions, and SMS can teach young people how to do it. The Shalom Media Summit is a four-day residential media conference beginning on June 28th and concluding on July 1st. Registration is now open for 16-29 year olds. For more information and to register, visit www.ShalomMedia.org/SMS2018.